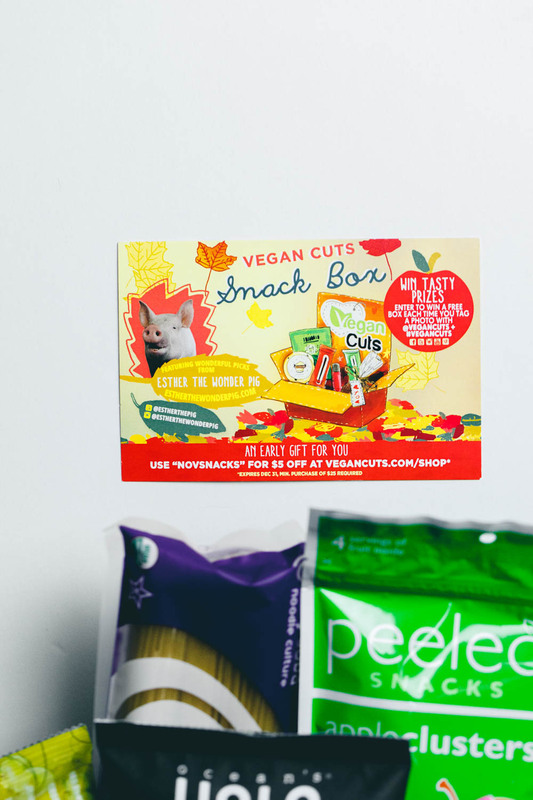 We received our Vegan Cuts Snack Box November 2014 shortly before leaving for our trip to Singapore and Melbourne. Fortunately for us the box was almost exclusively snack foods that would be perfect for the long flights we had scheduled. The only item in the box we didn’t try were the King Soba Noodle Culture Millet and Brown Rice Noodles that are organic and wheat & gluten free! We look forward to trying them when we get back home next month because they sound rather unique! It’s always nice to pack your own snacks when you travel, in fact we rarely eat airline meals anymore due to varying quality and typically unreliable service (Take a bow United Airlines!). There were 8 snackables in the November box, three were savory and five were sweet. The balance of sweet and savory snacks made this an ideal box for our trip. 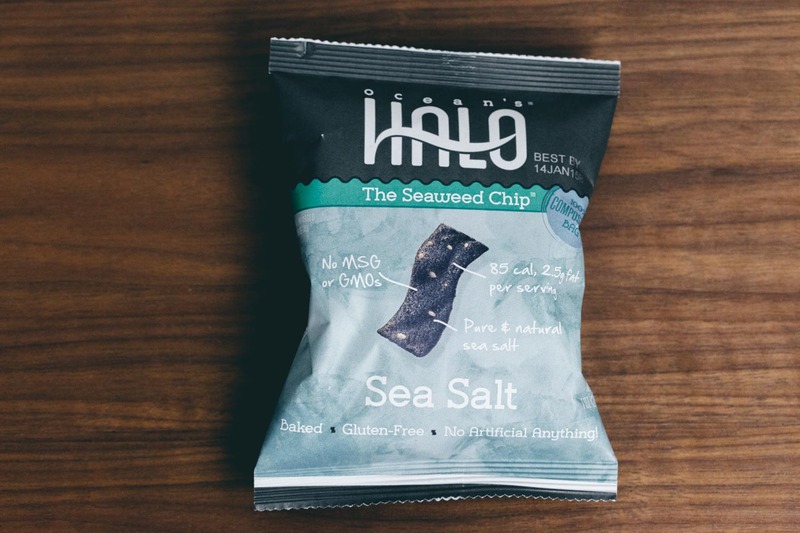 Our favorite savory snack were the Ocean’s Halo Seaweed Chips – Sea Salt, but all three of the savory snacks were really lovely. 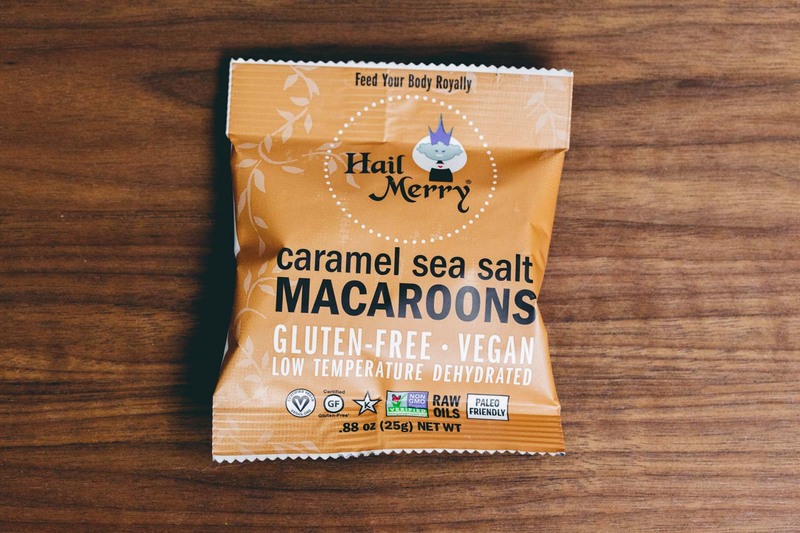 Our favorite sweet snack from the November box were hands down the Hail Merry Caramel Sea Salt Macaroons. Since most of the items were gluten free as well, these snacks were filling without slowing you down too much. The snack box was curated by Esther the Wonder Pig. 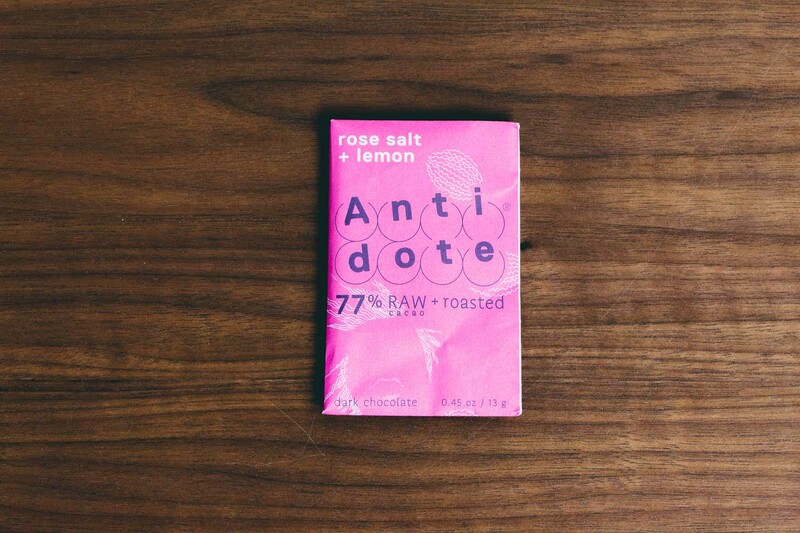 (0.45 oz) Cute little packaging and nice dark chocolate with a distinct salty base, subtle lemon flavor and no noticeable rose notes. From the Packaging: 77% Organic Cacao. RAW + roasted. Vegan. Gluten Free. Kosher Pareve. Available on Amazon.com and AntidoteChoco.com. (3.5 oz squeezable container) This had an odd and unpleasant gelatinous and starchy consistency that probably resulted from the addition of tapioca starch and carob bean gum. Carrot flavors were drowned out by the tart orange flavors, overall it was just a bit too sickly sweet. Interesting to try because I wasn’t expecting that. From the Packaging: Organic Ingredients. Non GMO. Totally Vegan. Essential Nutrients. Gluten Free. Spoon & BPA Free. 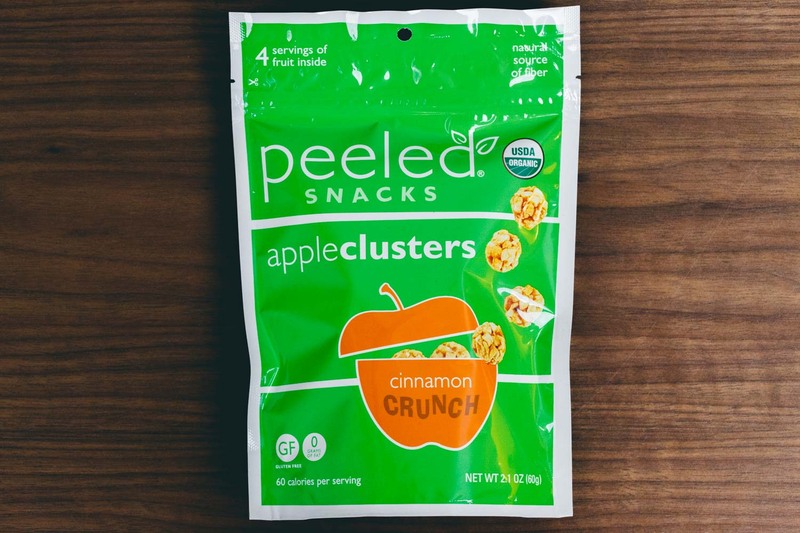 We’ve seen these at our local store and this was easily the item we were most excited to try from our November snack box. We even received our favorite flavor – anything with salt + caramel is an instant winner for me. These went so far beyond salted caramel though. Along with the pronounced coconut flavor you expect from macaroon, these had an amazing caramel and maple syrup element with just enough salt to balance it all out. These will literally melt in your mouth. Since the pack contained two little morsels of indulgence, this was the perfect decadent snack near the end of our flight. Simply amazing! From the Packaging: Gluten Free. Vegan. Made With Coconut Oil. Non-GMO. Kosher. Raw Oils. 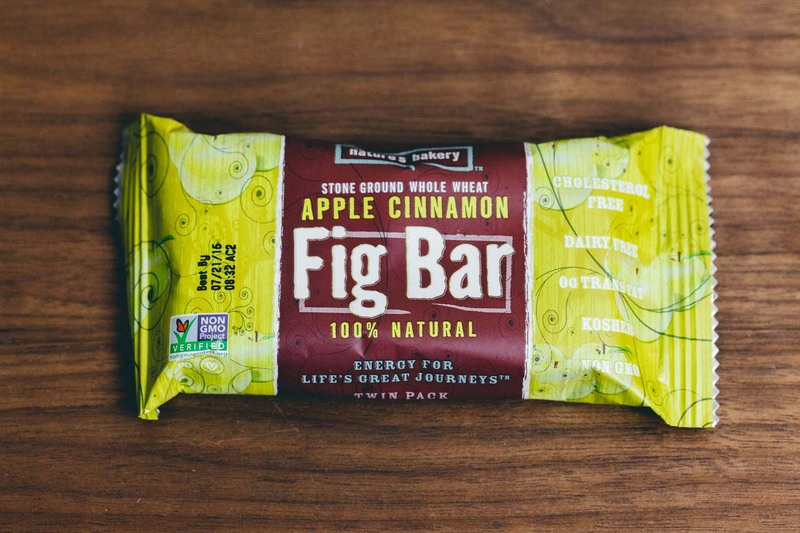 (2 oz bar) We tried a different flavor of these Fig Bars in an earlier Vegan Cuts Snack Box and we really liked both flavors we’ve tried so far. We love that these are moist, soft and not very sweet. Each package contains two pieces, making this an easy one for us to share. 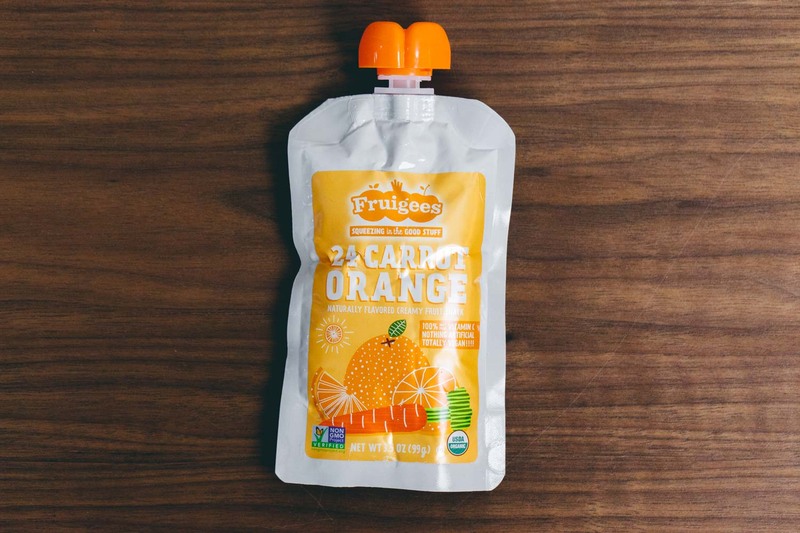 Perfect for breakfast on the go and a filling snack on our flight. From the Packaging: Kosher. Non-GMO. 100% Natural. Dairy Free. Cholesterol Free. 0G Trans Fat. (3 oz) These were the perfect snack for our flight on ANA (All Nippon, the Japanese airline) since they had a lovely, natural seaweed flavor. Just opening the bag we could detect a strong seaweed aroma that made these an appropriate alternative to the bonito and nori rice crackers offered on our flight. 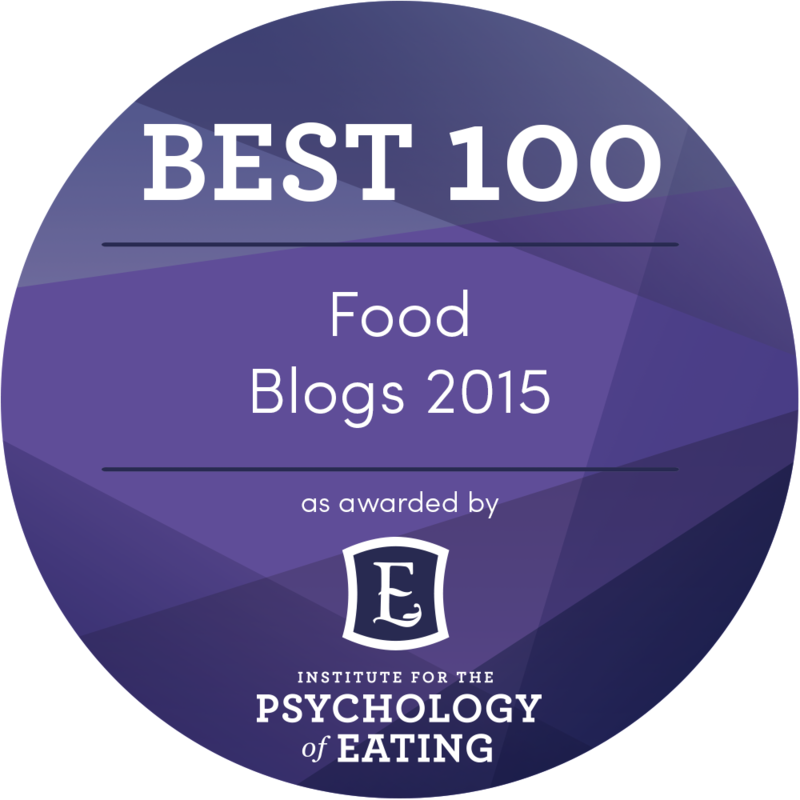 We loved how these were dry, crunchy and well-seasoned. Seasoning included tamari, garlic powder and onion powder. The consistency was closer to a cracker than a chip, and perhaps since they were baked they weren’t greasy at all. Easy to eat, relatively mess free and full of flavor. We would love to try other varieties of these! From the Packaging: No Preservatives. No GMO ingredients. No Gluten. No MSG. Baked. No Artificial Anything! 100% Compostable Bag. (2.1 oz) These were a bit so-so. I think they were lovely, but not as a snack on their own. These snacks were like little balls of dried apples with a faint cinnamon flavor. The texture was exactly that of chopped up dried apples. We enjoyed the flavor but didn’t think they were suitable snacks for a flight. Would have been lovely in oatmeal or some vegan yogurt or milk. From the Packaging: USDA Organic. Non-GMO. Gluten Free. All Natural. 0 Grams of Fat. (1.2 oz) Surprised by this snack because it had a lot of flavor and a nice texture. 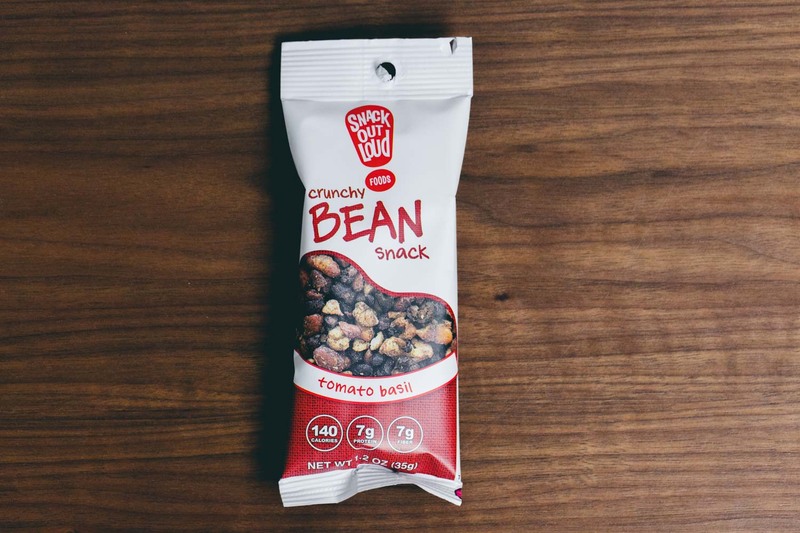 These lightly roasted (not fried) crunchy bean snacks weren’t too hard and were a really pleasant and flavorful snack. They also had loads of seasoning, which I could appreciate but all that extra seasoning made them a little too messy to be practical for travel. From the Packaging: GF, Nut Free, Non GMO, All natural, Vegan. Made using 100% wind power. (0.5 oz) Crunchy little sunflower seeds snacks. These bite sized little nuggets had a robust peppery sunflower seed flavor. 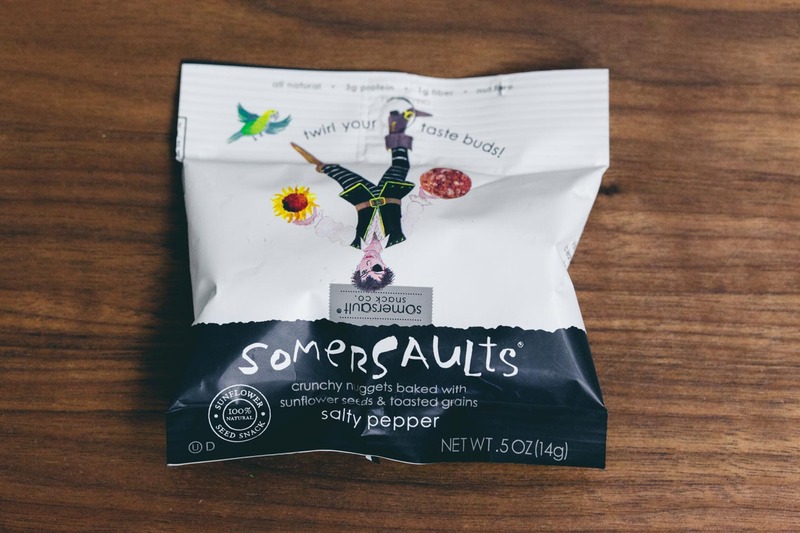 Didn’t pick up too many other flavors, but they were easy to eat and a satisfying savory snack on our flight. Great if you like sunflower seeds since that’s the primary ingredient and flavor. From the Packaging: Made With Non-GMO Ingredients. All Natural. Nut Free. 100% Natural. * We also received Organic Gemini Raw Tiger Nuts, these were not listed on the Vegan Cuts card and the sample sized bag included no information, instructions or details. 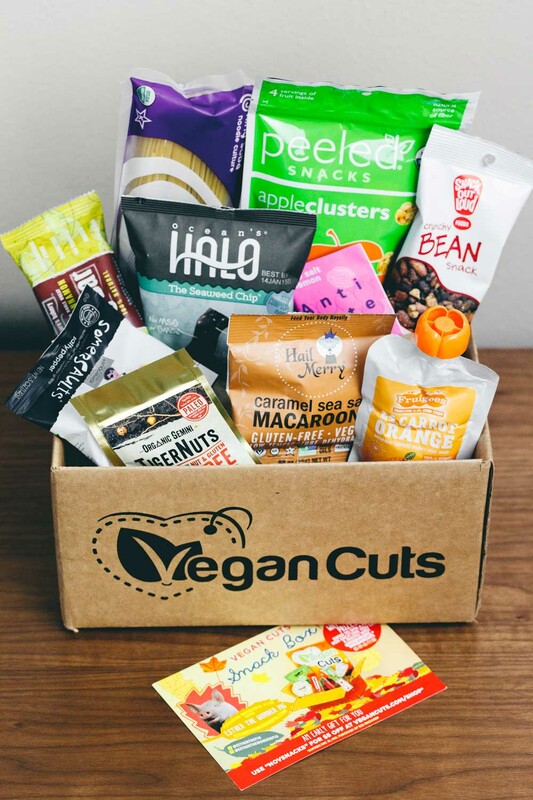 This Snack Box was kindly provided to me by Vegan Cuts for review. In addition to the Snack Box, they also offer a Beauty Box. Next Snack Box ships on December 18th! Get yours here. What are your thoughts about last month’s snack box? Have you seen or tried any of these products above before?